While getting your songs and albums on to big online stores is a good feeling in itself, if you want to actually makes sales of your music, getting your music on iTunes is only a small part of what you need to do. Let me explain. 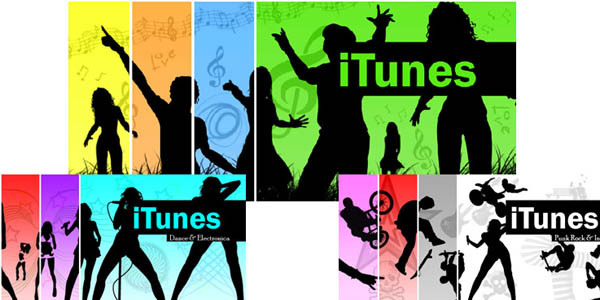 iTunes is a platform to sell your music, NOT a marketing tool. What I mean by this, is it will serve one purpose: Provide a way for people to buy your music. What it does not generally do however, is help expose your music so more people will buy it. While they do have their own charts and the odd promotion that can help give artists exposure, they don’t do anything for the average person who sells their music on this platform. Unfortunately, if you’re just starting out and aren’t selling a bucket load of songs already, you will fall into this category. As with selling on any other platform, if you really want to make sales, you first need to get people aware and interested in your music. If you don’t do this, it won’t matter where you’re selling your digital downloads. It could be on iTunes, your own website, or some other corner of the internet; YOU WON’T MAKE SALES! Unless you’re willing to promote your music and sales page to people, there’s no point putting your music up to sell in the first place. With that in mind, let’s look at how to get more exposure on iTunes. One of the best ways to get more targeted people visiting and interested in your iTunes sales page, is to link to it from your own website. This can either be within your shop page, or a link in your sidebar. If you haven’t already got a website, you can check out our step by step guide to building a website here. You should make it clear that it’s a link to your iTunes or shop page, so people that go on to click through know exactly what to expect. While you could trick people and just say ‘click here’, a lot of people that do click won’t be interested in buying from you. They may even get frustrated with your unclear navigation and leave your site. Once your link is on your website, the next step is to promote your music and yourself as a brand. This will be in the form of gigs, Youtube videos, and any other methods you can think of or that are already working for you. Any time you can, direct these people that hear about you to your website. You can do this at gigs by mentioning a free gift people can get by visiting your site (Mention this a couple of times during the gig and also at the end so all the details stays in their heads). You can also do this via your Youtube videos by adding a clickable link within the video, and also within the video’s description.